It may be about as authentic as a nine pound note, but we absolutely love this pâté! 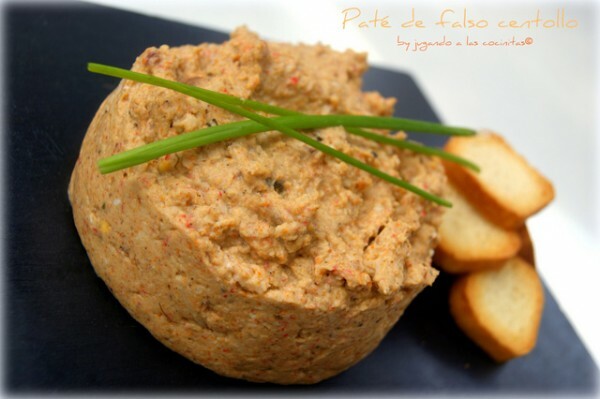 It was created by Silvia, that indefatigable contributor to our blog, and the editor and head chef of her own blog: “Jugando a las cocinitas” Silvia shares this fantastic pâté with us at Conservas Serrats. You won’t be able to resist rustling up this aperitif when you host your next party or celebration. Silvia advises us to rustle up this delicious, easy-to-prepare snack, and to eat to our hearts’ content! Are you interested? Well, then, let’s get to work! Cook the egg in plenty of water; make sure to add salt to the water in order to make it easier to peel them later. Whisk the ingredients in the blender. Remember that you don’t want a thin texture; the texture should be uneven and you should be able to discern some unblended pieces. If you notice that it’s too thick for your liking, you can add a little more juice, and even some of the oil from the anchovies (for this reason I recommend using anchovies in olive oil) until you achieve the texture you desire. The pâté should be quite compact, and easy-to-spread yet firm. Use your hands to break apart and shred the 2 remaining crab sticks and add them to the pâté. Place the pâté in a bowl and store in the fridge until serving time (it’s better to do this in advance because it’s much tastier when cold, at least for my liking! ).